$20 Price Chopper Gift Card Winners! Congrats! Please email me at erinlwaringatgmail.com so I can send out your gift cards. 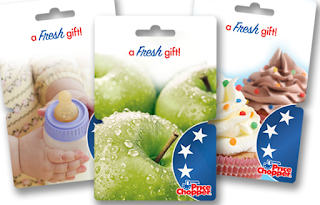 Enter your shopping trips or deals this month to win a $15 Price Chopper gift card!